“It is always with you, there inside your head. 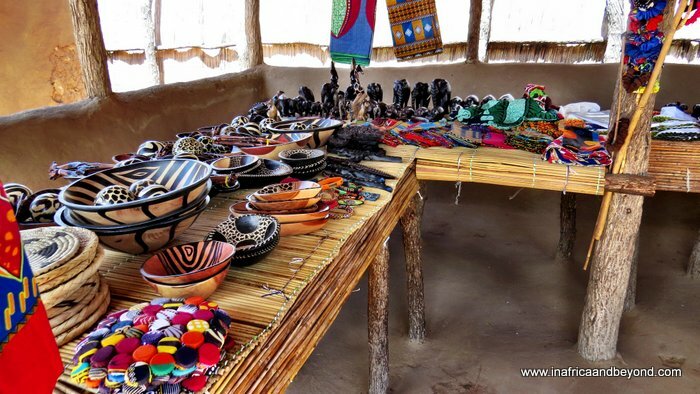 The best African destinations are rich with fascinating experiences. Experiences that are made even more special because they are combined with exclusive luxury and warm hospitality. 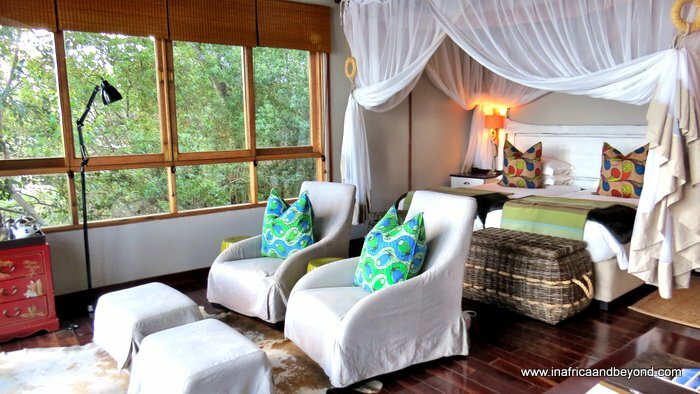 Our stay at Royal Chundu was a kaleidoscope of such experiences. From our arrival and royal welcome to our departure – and in between – they will be etched forever in our memories, not only our memory cards. 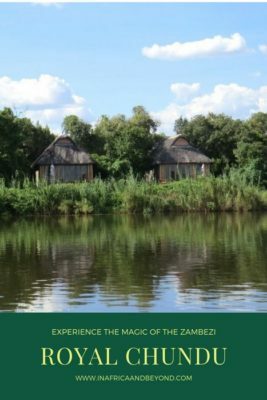 Royal Chundu is an exquisite retreat on a private stretch of the Zambezi River, 30 km upstream from the Victoria Falls. 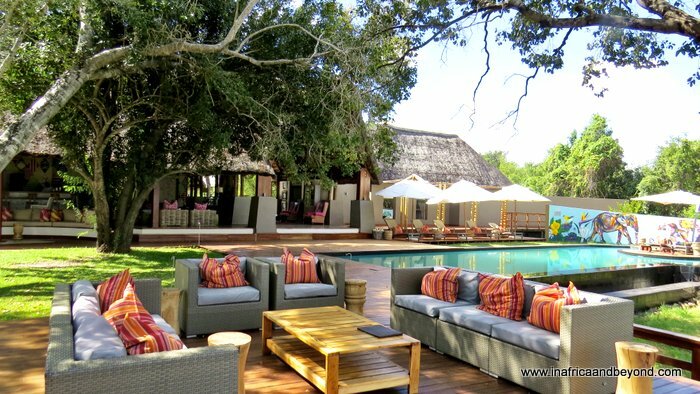 The family-owned lodge is the only Relais & Chateaux property in Zambia. It consists of the River Lodge with its 10 villas built on stilts and the more private Island Lodge on Katombora Island. Both are river-facing and perched amid lush riverine vegetation. Voted the 4th Best Resort in Africa and 9th Best Resort in the World in the Condé Nast Traveler’s 2018 Readers’ Choice Awards, Royal Chundu has also been awarded the title of Zambia’s Leading Safari Lodge in the World Travel Awards for the past 8 years. 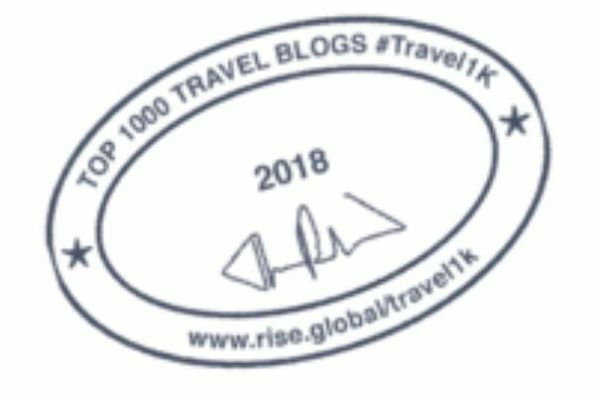 We were met by a representative at the airport, and proceeded to make the one hour twenty minute journey to the lodge, through the rural Zambian countryside. For my family, the drive was considerably shortened by the fact that there was wi-fi on board, while I preferred to gaze out of the window and soak in my surroundings. 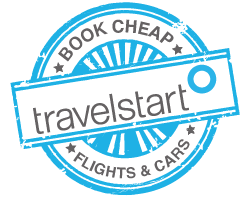 If you are in more of a hurry, you could always opt for a helicopter transfer which will treat you to aerial views of the Victoria Falls en route. In keeping with its name, a royal welcome awaited us at the lodge, which appeared like a mirage at the end of the dusty road. 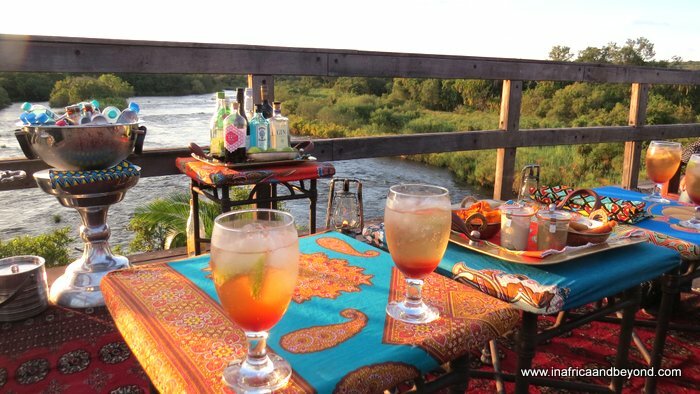 We were treated to traditional shoulder massages and a decadent lunch on the deck, while we watched the elephants grazing on the Zimbabwean river banks opposite us. After freshening up, we set off on a leisurely sunset cruise. 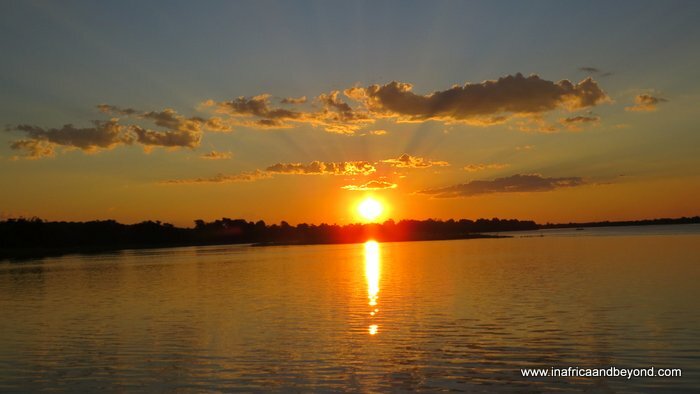 Cruising on the Zambezi with drinks and snacks, we enjoyed close-up wildlife encounters, which were rivalled only by the magnificent sunset. The following day brought forth new adventures. There were many activities to choose from and Aggie, our friendly host, helped us to plan ours. 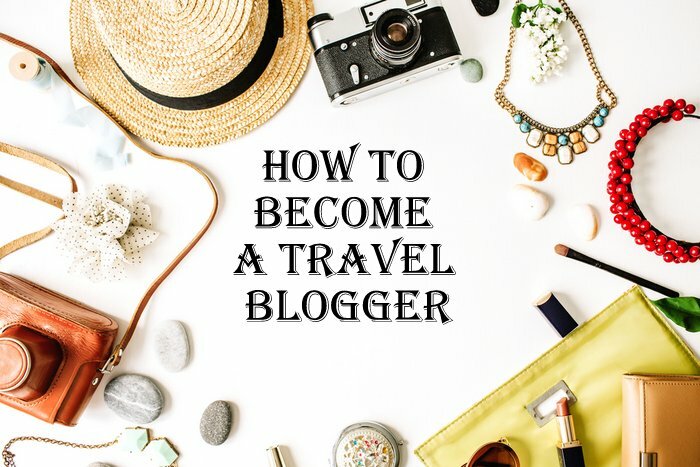 A visit to the Victoria Falls, one of the natural wonders of the world, is usually a must but since we had already been there recently, we opted to spend more time on the Zambezi. 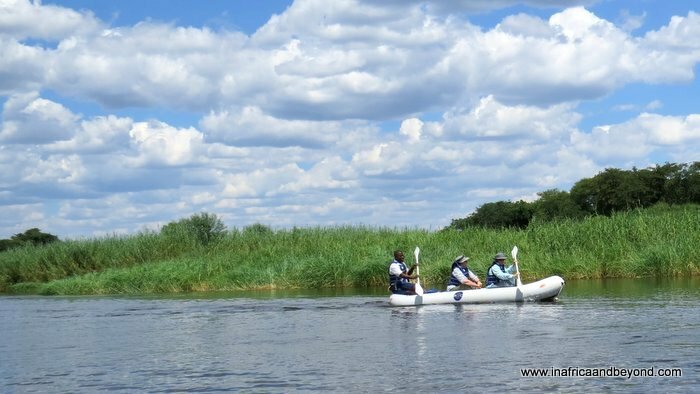 We canoed in hippo and crocodile inhabited waters, yet felt perfectly safe in the hands of our knowledgeable guides. This was our first time canoeing and it was great fun, especially for our teenagers. We had the meandering river to ourselves, shared only with the wildlife and the birds. The breathtaking scenery consistently emitted expressions of wonder from us. After working up an appetite, we stopped for a surprise picnic along the banks, where hammocks were strung up, rugs were laid out and freshly baked pizzas and prawn skewers awaited us. Another highlight was a visit to a nearby village, where we were impressed by how the local communities used plants and herbs to make necessities, such as medicines, cooking oil, soap and even glue. The lodge works in synergy with the neighbouring communities, providing them with seeds to plant crops, educating the children and employing the adults. Later, we trekked through the forests of Katombora Island, with its 2000 year-old jackalberry trees and baobabs. Our walk culminated with an incredible sunset picnic on the lookout deck, high above the rapids. 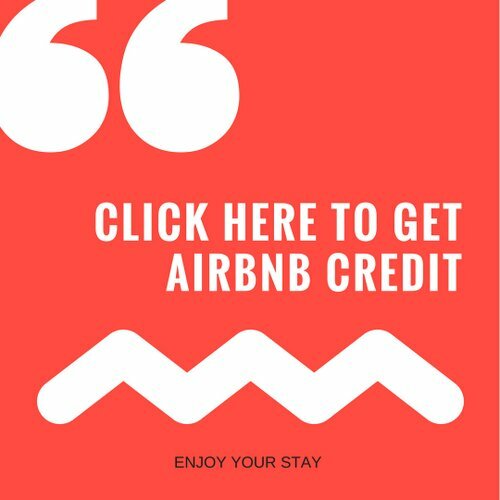 We lazed on comfortable couches and Persian rugs, with snacks and drinks laid out before us, and a friendly waiter at our beck and call. For a more unique adventure, you can spend the night on the deck. A comfortable four-poster bed will be brought up for you and your partner! Elevated walkways link the main lodge and the villas. 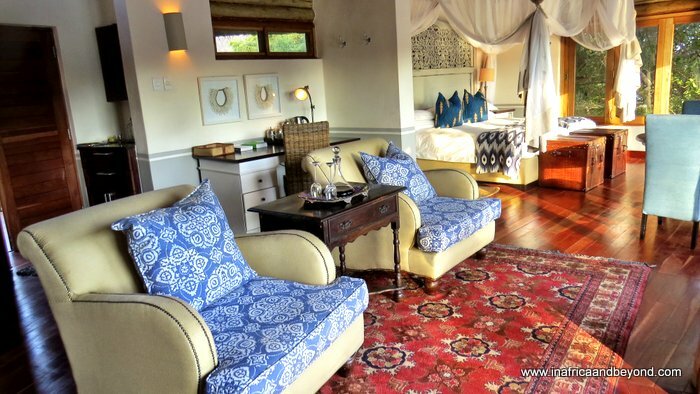 Our private quarters, consisted of two adjacent villas at River Lodge, which we shared with our children. The expansive abodes had open-plan bedroom and lounge areas, a dressing room and a bathroom with double showers and vanity stands. Full length glass doors brought the outside in. The vistas from the deck were shared by the entire suite and one could look out onto the river while showering. 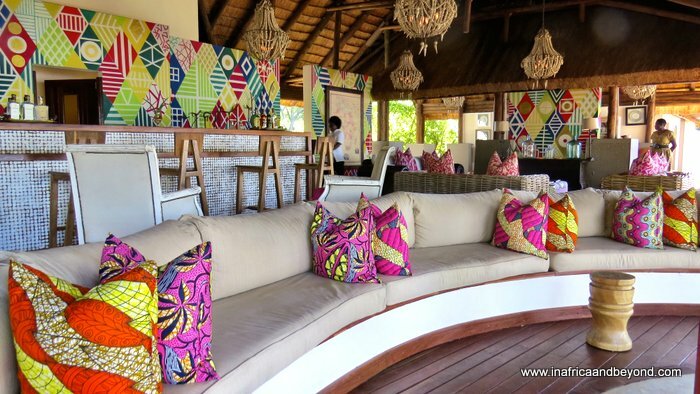 As in the public areas, the décor was a delightful blend of colonial elegance and African charm, with splashes of colour accentuating the natural materials. 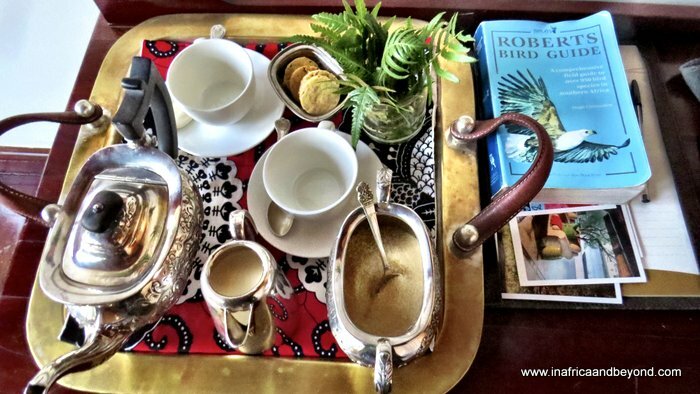 Even though we had an exquisite tea chest with porcelain crockery and real silver cutlery in our room, we opted to have our morning coffee delivered to us. Coffee at Royal Chundu is brought to you at your specified time. It is placed in a serving hatch which the staff member unlocks from the outside. 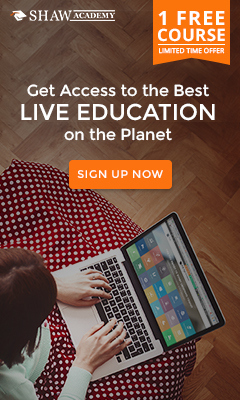 The bell is then rung and the staff member leaves without intruding on your privacy. You can then get your coffee without having to cover up first, and sip it on your own private deck while enjoying the river views. Every meal was a gourmet event, and strictly al fresco. The kitchen policy is to make food from organic ingredients sourced within a 4km radius wherever possible. This served to enhance the taste and the flavour of the culinary creations, while supporting the local communities. 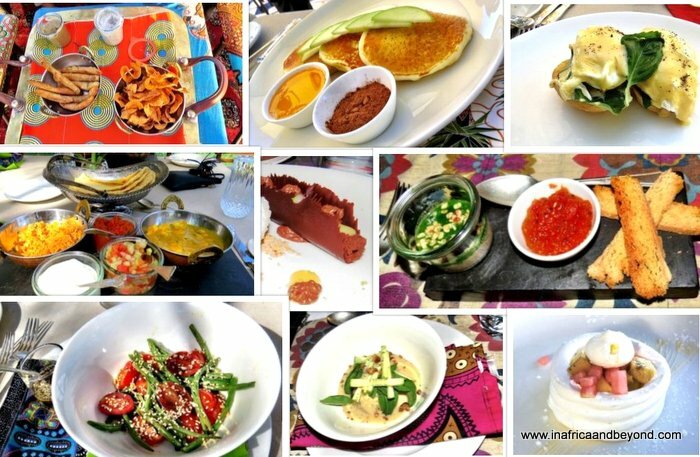 One evening, we sampled a customised Zambian tasting menu, where a staff member explained to us what the different dishes in each course were and the significance of the ingredients used in Zambian culture. 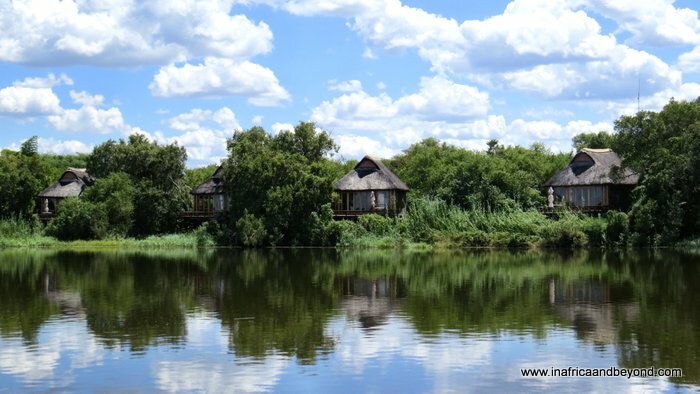 Apart from our family conversation, meals were punctuated only by the sounds of the bush and the river: the occasional grunt of a hippo, the cry of a fish eagle and the roar of a distant lion. As we were leaving, Aggie assured us that we would have to return soon as we were now family. It certainly felt like it, after being pampered extensively. Our hearts were heavy, but our souls invigorated by the magic of the Zambezi in this unspoilt part of the world. Royal Chundu means ‘the meeting place of the chief’ and a stay at this waterfront hideaway will ensure that you feel like one. 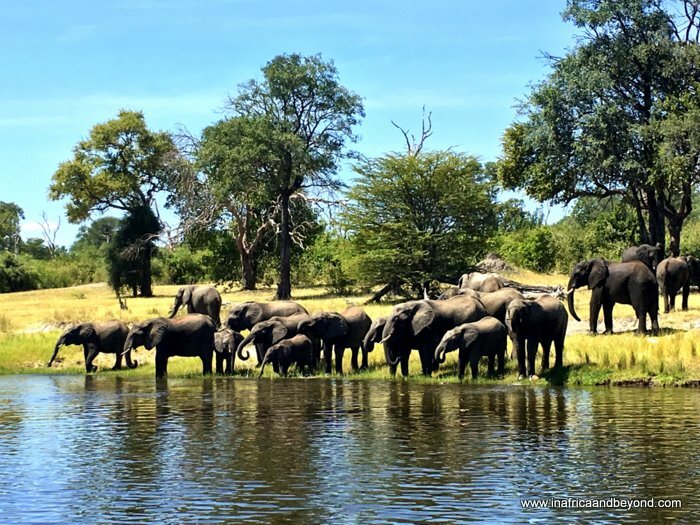 For my family, it was certainly one of the ultimate African experiences we’ve ever had. For more information, visit Royal Chundu or book here. Absolutely dying to go here! 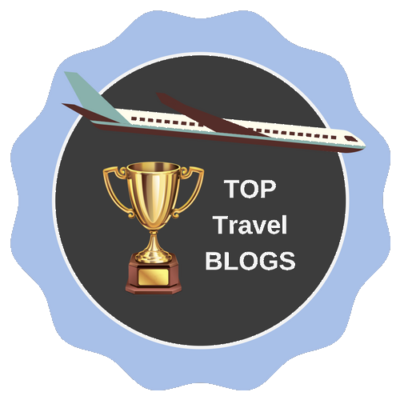 I’m such a fan of Zambia and the beautiful Zambezi but I’ve never been to upper Zambezi – this is such a great post!